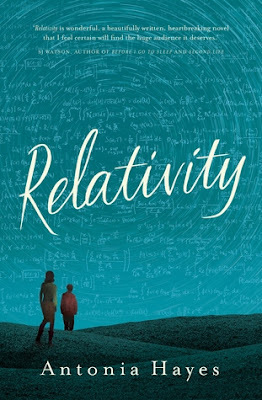 From Goodreads: Ethan is a bright young boy obsessed with physics and astronomy who lives with his mother, Claire. Claire has been a wonderful parent to Ethan, but he's becoming increasingly curious about his father's absence in his life, wanting to fill in the gaps. 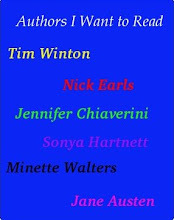 Thoughts: Antonia Hayes did not give a lot of interviews about this book. Understandable when you realise how closely she cuts to the bone with the premise of the book. One interview she did give was on Richard Fidler's Conversations. (seriously, I should track how many books I get from that show!) It was interesting and heart-wrenching enough for me to add to my list. In the end, I listened to it as a audio, read by the author herself. I quite enjoyed the book, although I found Claire to be fairly annoying. However, there was one moment in the book where it completely lost me and it took a lot to get me back. During a meeting at school with Claire, Ethan, staff at the school, the parents of one of Ethan's friends and Ethan's friend, the mother of the friend reveals some very private and privileged information. The principal and other staff that were present just let it happen. There was time and space for them to intervene and they didn't. I do not know of, nor can imagine such a situation ever occurring. Schools are big on privacy and protecting children. There is no way what was revealed would be allowed. It was necessary for Ethan to find out the information disclosed, but it was done in such a clunky, plot device way it completely jarred me out of the story. For quite awhile I was so angry about the whole thing I struggled to slip back into the story. However, in the end I managed to move past it and follow the story to the end. The book is one of those that presents several questions to the reader. How would you react in Claire's position? What would you tell your child about what happened and the effect it has had? What are the dangers of hiding such information from a child - especially when they form answers for themselves that may be very far of the mark. And at what point do you start to believe your own lies in order to cover the pain? Part of me wants to give Relativity 4 stars, but the reality is the school scene plus a few other little niggling issues means it will stay at a 3.